Give a customized day in the kitchen! Participation cooking party for up to 6 guests. Menu, date, and time to be determined. The Day in the Kitchen gift certificate can be printed from your own computer or mailed to any address. If you are printing it from your computer, please log in or create a Kitchen Conservatory account. 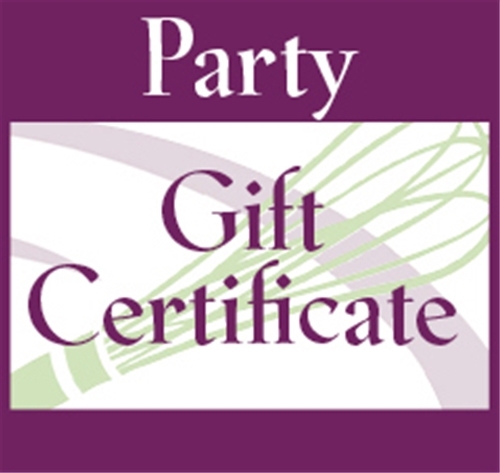 After completing your order, go to your account to view and print the Gift Certificate!